Everything is bigger in Texas –– including the job hunt. Some of the fastest growing cities in the state of Texas, such as Houston, have a plethora of fantastic jobs. The problem? There is no shortage of qualified candidates applying for these hyper-competitive job listings. Standing out from the crowd is a difficult task; failing to do so could impede your chances at securing a great job. Luckily, a resume writer can help with. Our top 10 list of the best resume writing services in Texas will guide you through the tough decision of choosing a professional resume writer. Just like with essentially any other task, you can do it yourself –– but a professional is going to do it right. A professionally written resume may very well be one of the last things on your mind during your job search. However, an artfully crafted resume can grab the hiring manager’s attention and put you head and shoulders above the competition. What’s not to like about that? It’s time to prioritize your success. Take a gander at our list of the best of the best resume writers in Texas and get ready to swipe that credit card! You can also take a look at our lists of the best resume writers in the following major Texas cities. Find My Profession is not just a top-notch resume service available in Texas. We are a global company headquartered in the US on a mission to master effective resumes that convert into offers. No matter where you are in your career, we are here to help. We have some of the best resume writers available in Texas with expertise spanning 75+ industries. You might be thinking it's a bit biased to create a top 10 article, ranking ourselves on the top of the list, but the reality is, we know our services better than any other company. We know the quality we commit to and the level of service we provide. While it's our opinion (and many of our customers) that we are the best, it's just an opinion. While the majority of our clients are Executive and C-Suite, we also work with the Military Transition and IT Professionals in the great state of Texas. Cons: Find My Profession is not physically located in Texas and therefore you could not meet us in person. With a focus on more senior positions, our entry-level resume service may be a bit pricey for recent graduates. San Antonio Best Resumes may not have the best website, but they certainly know their way around a resume. All of the writers at this firm are Certified Resume Writers, which should help you sleep at night if you’ve had past experiences with mediocre resume writers. Every single resume package offered by San Antonio Best Resumes comes with a cover letter, interview prep, thank you notes, and a reference page. They also offer branding services in case you happen to own a business or side hustle that you’d like help promoting. Pros: San Antonio Best Resumes has stellar reviews on both Facebook and Google. One Facebook review is from a client who has used their services multiple times. If they have repeat customers, they must be doing something right! Cons: San Antonio Best Resumes does not have a turnaround time listed on their website. If you need a resume quick, they are going to make you pay for it. You also have to pay for an entire resume package; there are no a la carte options available at San Antonio Best Resumes. Turnaround: Not stated. 24-hour rush service available for $100. Houston Outplacement is run by Bridget Batson, a Certified Resume Writer who brings 20 years of experience to the organization. Bridget will do her best to answer your call at almost any time of the day. When working with you, she researches your ideal position and looks through countless job descriptions to ensure that she can write a killer resume for your dream job. Honesty is in Bridget’s policy; she understands that she is not a perfect fit for everyone and will recommend you to another service if you are not a good fit for her services. Pros: Houston Outplacement works with anyone, from entry level positions all the way up to the C-suite. They do not require you to put down the full payment for their services right away; you just have to pay 50%. Most resume writing services require 100% of payment upfront before you even talk to them. Cons: Houston Outplacement has one of the longer turnaround times on this list. There are no rush services available if you need your resume ASAP. Additionally, if you’re local to the area and want to meet Bridget in person, there is a very limited time window in which you can meet with her. Reviews: 5/5 stars on Google. 4/5 stars on Yelp. Resumes That Sell You is run by a certified career coach named Deborah Gomez. Deborah has a few interesting seminars that she gives, often discussing topics such as how to sell yourself in a resume as well as topics to discuss in an interview. Some other services that she offers include direct mail campaigns, interviewing techniques, as well as LinkedIn profiles. Resumes That Sell You uses PayPal as their payment processor, so there are no worries when it comes to your personal information being shared directly with their servers. Pros: Resumes That Sell You has all of the tools that a resume writer needs in order to construct a fantastic resume. Deborah has several years of experience as an executive and knows what goes into an effective resume. Every single resume package that she offers comes with a 30-60 minute interview. Cons: Resumes That Sell You does not have the best website out there, which might turn off some potential customers –– especially younger demographics. However, a potential issue is that Deborah is not a Certified Resume Writer. You may want to use a resume writing service that has certified resume writers on their team, although it’s by no means a deal breaker if someone is not. Reviews: 5/5 stars on Google. 4.5/5 stars on Yelp. Action Ink is one of the oldest resume writing services in Texas. Since 1984, they have been providing resume preparation, military conversion resume writing, and resume revamps all from the heart of San Antonio. There is not much information on the who runs Action Ink or how many writers they have, but based on their awesome reputation you can rest assured that your resume is in good hands with them. Pros: Action Ink is a one-stop-shop when it comes to career services. If you need a full court press to help you get your next job, this might be the way to go. You can receive interview training and have them handle all of your cover letters and follow-ups in order to ensure that you have a better shot at getting the position. Cons: Action Ink may be one of Dallas’ oldest resume writing services, but that could be as much of an accomplishment as it is a concern. You never know if they have kept up with the latest applicant tracking systems, for example. There are also no costs or turnaround times listed on their website; you’ll have to wait for them to get back to you for a quote. Reviews: 5/5 stars on Google. 5/5 stars on Yelp. Righteous Resumes became prominent during the financial crisis because they were able to land jobs for clients. For 15 years now, Darrell DiZoglio has been creating resumes for the Dallas area and satisfying clients time and time again. A unique offering by Righteous Resumes is the ability to purchase gift certificates for their services. This would make a great gift to someone who recently was laid off, a college graduate, or anyone ready to take the next steps in their career. Darrell works around your schedule, meaning he can work with you at any time. Pros: Righteous Resumes brings 25 years of copywriting experience in the table. Many other resume writers do not have decades of experience like Darrell. 95% of Righteous Resumes clients are hired within 90 days of their resume being written. Most resume writing services would love to have those kinds of numbers. Cons: Righteous Resumes is a one-man show. That means you will get personalized service and get to meet with Darrell one-on-one. However, if he is booked up you could end up waiting weeks or months just to receive a resume consultation. Turnaround: 3-5 business days. $150 for 48-hour turnaround. Career Creators Consulting is a talented team of three women that can help craft you a resume that showcases all of your experiences and abilities. Amber Travis-Ballinas, own of the firm’s head honchos, has been a partner since 2001. She has all of the necessary education and credentials to craft job-winning resumes. Payment plans are available for their packages, which is an awesome perk if you are currently unemployed. Career Creators Consulting also offers a 100% satisfaction guarantee on all of their services. Pros: Career Creators Consulting has been around for 19 years, so they clearly know what they’re doing. For extra help, customers can utilize their employment placement services as well. Career Creators Consulting works with companies in the Austin area, so they have plenty of job opportunities that they can connect you with. Cons: Career Creators Consulting does not offer any stand alone resume writing services. You have to pay for a package that includes resume writing. In this case, you may be paying for services that you may not necessarily want or need. Resume Butterfly can transform your resume from a struggling caterpillar into a blossoming butterfly. Jessica Smith runs the company and has a great analogy that describes her approach. She calls a resume your movie trailer; a trailer that hiring managers use to decide whether or not your movie is worth seeing. The firm is named after a book Jessica’s daughter loves called Charlie the Caterpillar, about an ugly caterpillar that grows into a beautiful butterfly. To add value, Jessica has a free eBook on her website that outlines some of her favorite job tips. Pros: Resume Butterfly has reasonable prices if you’re not looking to spend a lot on your resume. However, you may want to remember the age: you get what you pay for. Make sure that you take that into account when choosing a resume writer, no matter who you choose. Luckily, you may have nothing to worry about when working with Resume Butterfly. There are numerous 5-star reviews on Google praising Jessica’s writing abilities. Cons: Resume Butterfly only communicates via email. If you were looking for a more personalized experience, another one of these resume writing services in Texas may be a better fit for you. Jessica also takes breaks out of office, so you never know if she will be able to take on your resume exactly when you need her to. Reviews: 5/5 stars on Google. 4.3/5 stars on Facebook. USA Resume has offices in Dallas, Houston, and Austin, with their main headquarters being located in their Houston office. USA Resume has an incredibly slick website that is easy-to-use –– even for the most tech-illiterate of us. A really cool resume type that USA Resume offers is the infographic resume style. There are very few resume writing services that offer anything but a standard resume, so USA Resume provides cutting-edge options for today’s modern and ever-changing employment landscape. Pros: USA Resume has worked with employees at some impressive companies, like the USTA as well as Prudential. USA Resume has the necessary experience to create a great resume for you. They have a ton of stellar 5-star reviews on Google that rave about USA Resume’s resume writing abilities. Cons: USA Resume claims that they have worked with people in every single industry under the sun. On the other hand, most resume writing services have a few industries that they are experts in. After all, no one can be an expert in all of the industries under the sun. Enhanced Careers has been at it for more than 24 years. 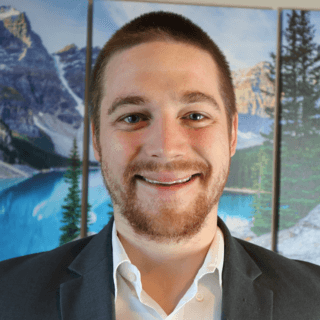 Steven Stevenson –– try saying his name five-times-fast –– is a Certified Professional Resume Writer with a ton of experience that he brings to his resume writing services. Depending on the package you order, Steven offers a wide variety of add-ons to ensure that your job search will become a breeze. Pros: Enhanced Careers offers 3 edits after they deliver your resume. At most resume writing services you would be lucky to get even one round of edits for free. Enhanced Careers is focused on providing you with the best marketing and promotional materials that you can utilize to find your dream job. Cons: Enhanced Careers does not offer payment plans like some other resume writers do. Additionally, Enhanced Careers may not be the best option for someone wanting direct communication with their resume writer. Steven wants you to fill out a questionnaire as opposed to having a discussion on the phone. There are several different resume writers that include a phone call with their resume services, so if you’re interested in conversing over the phone, Enhanced Careers may not be the best fit. If you are looking for a local resume writer in a city near you, take a look at our comprehensive list covering over 500 cities in the United States and Canada. See the list of resume writers near me. We have done the heavy lifting for you to find the Top 10 Resume Writing Services in Texas. Don’t let the recruiter catch you off guard with the question, "why do you want to work here?" The chances of someone asking this interview question is very high! Now, the answer may seem obvious, but the obvious answer is not always the best answer. We explain the best ways to answer this question without saying, "To get paid." If you are currently interviewing for a job and wonder what is exactly happening in today’s work culture, these predictions for the workplace in 2018 will be a great help for you. If you are thinking of leaving your job, you may even see a trend for 2018 that will cause you to keep your job instead of starting a new job search.